For decades there have been calls for the many governments in Milwaukee County to find ways to consolidate operations and save the taxpayers money. With rare exceptions, notably the North Shore Fire Department, which merged departments in seven suburbs, little has come of this. The latest budget crafted by Milwaukee County Executive Chris Abele provides a test of this proposition. 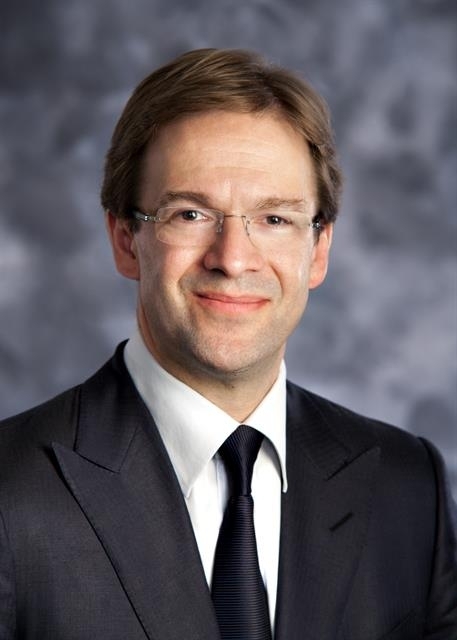 Abele has proposed several kinds of cooperation he believes could save taxpayers money or allocate resources more efficiently. Board Chair Marina Dimitrijevic says “Supervisors are committed to…enhancing intergovernmental cooperation,” so you might think they’d look fondly on proposals to do this. But my conversations with board members suggest Abele may have difficulty getting much of it passed. For starters he has revived an idea from last year’s budget, that would reduce personnel in the sheriff’s department used to patrol the county parks and lakefront and instead pay municipal police to do this. He is also proposing to enhance cooperation between the county and Milwaukee police in handling the mentally ill. Finally, his budget would spend some county money to help the Milwaukee Police ShotSpotter program, which helps nab criminals using guns. The parks and lakefront patrol idea is the biggest ticket item and there is considerable logic to the idea. On paper the Sheriff’s Department has 29 deputy sheriffs assigned to the job, but Sheriff David Clarke reported that just 21.4 person hours per day were spent on this task. In short, deputy sheriffs do very little patrol of the parks, which is mostly handled by local police departments. County Supervisor Patricia Jursik’s district includes Grant, Warnimont, Sheridan and Bay View parks, among others, and she says there is “little or no” patrol done by deputy sheriffs. “The local police patrol the parks,” she notes. Supervisor Tony Staskunas says the West Allis police and not the sheriff’s department patrol parks in his district. Supervisor Jim (Luigi) Schmitt says the Wauwatosa Police in his district mostly handle parks patrol and in the portion of his district that’s in Milwaukee, “we call the the city of Milwaukee Police first” to handle parks issues. So if the Sheriff’s officers aren’t handling the patrol, why not go with Abele’s plan and pay local police to handle this? Jursik believes Abele has allocated too much to Milwaukee Police and not enough to suburban departments, but that’s the sort of issue that could be negotiated. And she seems willing to do it, but says it’s a moot point because most board members won’t vote for this. But doesn’t the financial and programmatic data provided by Abele and Clarke provide some clue as to who may be right? Certainly Jursik expresses skepticism about the information provided her by the sheriff. But it’s clear board members view the battle between Abele and Clarke as personal; Abele is “so sour” about the sheriff, Staskunas says. And even if they didn’t, they’d still reject the proposal. That attitude, of course, makes any consolidation with other governments impossible. By contrast, it may be easier for board members to support Abele’s proposal to spend $300,000 on ShotSpotters. It seems a radical idea for the county to help support a city program, but it’s a smaller ticket item that won’t specifically eliminate any county jobs (though it may ultimately take some money from the sheriff’s budget), and the reality is, the vast majority of crime in Milwaukee County occurs in the city. Dimitrijevic supports the idea if the city kicks in more money as well: “Finding a model where the city matches a contribution from the county could be a positive opportunity for intergovernmental cooperation,” she says. That may be a sticking point, as the city already provides all the funding for ShotSpotters and may not be able to increase the funding further, but there may be a way to negotiate this. Most city-based supervisors may support the general idea, but it will be tougher for those representing suburbs. “I’m not sure Milwaukee County should be contributing toward what is essentially a city of Milwaukee project,” says Staskunas. “As a suburban representative, I have to look at any suburban dollars going into the city.” Yet Jursik, whose district is suburban, says she may support it if the city kicks in matching dollars. 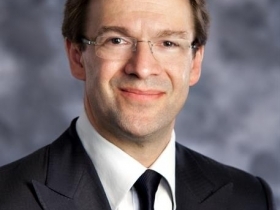 Abele’s third idea for intergovernmental cooperation isn’t completely new. It would allocate $115,327 for an expansion of the county Behavioral Health Division’s partnership with the Milwaukee Police Department. While the county takes care of the mentally ill, it is city police who make most of the referrals. Statistics show 65 percent of the emergency calls they handle are taken to the County Psychiatric Crisis Service. But this is the most expensive way to handle the problem. The newly allocated funds would be used to add a clinician to the Milwaukee Police Department’s Crisis Mobile Team who would work directly with police officers handling emergency calls. The goal is to help reduce the number of involuntary emergency detentions by offering alternative treatment options when appropriate. A study done in 2011 showed that 95 percent of Crisis Mobile Team interventions resulted in voluntary, often community-based, alternatives to emergency detentions. For every dollar spent to reduce police referrals to the County Psychiatric Crisis Service and hospital emergency rooms, many dollars will be saved on care for the mentally ill. But it still looks as all this money is going to the city of Milwaukee. So will supervisors support this? Right now, there is no guarantee any of these measures proposed by Abele will pass. Politicians can be ingenious at finding reasons not to cooperate with other governments. Staskunas stepped down from the state legislature to win office as a county supervisor. He had long served a district that was about half Democratic and half Republican, but in its redistricting of the state the GOP-dominated legislature pushed his district west into Waukesha County and made it 60 percent Republican, he says. “I think that’s bad for the responsiveness of public officials and bad in terms of having a representative who has an open mind,” he says. Gerrymandering, he says, has made the legislature “much more partisan.” It’s no longer possible, he says, for people from different sides of the aisle to get together and talk anymore. Compared to the legislature, Staskunas says, the county board is far more wide open and less predictable. In the legislature, he says, most positions were decided ahead of time in the party caucuses. “Ninety-nine percent of the votes were all scripted,” he says. WTF? Hasn’t Clarke answered the question “who do you trust?” for every same person in Milwaukee? An infantile, immature leader dealing with a kiddie class that should be in kindegarten. Clarke has 70% or more approval in county, higher out state. Yeah, Mayor Clarke is wildly popular! The animal control operations in Milwaukee County is one example of municipal co operation, as was the Regional Telecommunication Commission and the Milwaukee River non point pollution commission which cleaned up the river… Co operation is not rare. It merely needs leadership and a focus on getting things done. The main question that we should be asking is if the County budget allocates money for 29 sheriffs to patrol the parks then why aren’t 29 sheriffs assigned to patrolling the parks instead of 2 or 3? (“21.4 person hours per day”). I don’t care if the county or the municipality is paid for park patrol but whoever is paid for it should do it. Well it seems a moot point because the county supervisors struck down the park partol proposal… but my biggest fear is that the MPD won’t handle the lakefront summer crowds with as much visibility and organization as the sheriff’s dept has over the past couple years. If we could see a proposal for how they handle the lakefront and assurances that they will follow through in the future, then I’d feel a bit better about it. However, as is the MPD is so over taxed, I don’t see how it’s possible for them to do any of that.